You must send your completed government forms directly to the USCIS or other government agency. We don't do that for you. WASHINGTON – President Donald Trump introduced the RAISE Act in early August 2017 flanked by the congressional authors of the bill. The president said the RAISE Act would grow the economy, create jobs and protect American workers. One of the major portions of the bill is a merit-based immigration system that relies on a point structure for those wishing to enter the United States. After pouring through the bill, FileRight has broken down the point system. Those wishing to apply for a United States visa must first reach a total of 30 points. Immigrants accumulate points for a variety of categories including their age, education, English knowledge, salary as well as other factors. When it comes to age, the system awards the most points for immigrants between 26 and 30 years old. The RAISE Act rewards those with the highest educational degrees and furthermore rewards those degrees that were earned in the United States as opposed to a foreign counterpart. Knowing how to speak English is also a major component of the proposed immigration system. President Trump has said he wants to welcome those who can support themselves. Immigrants earn points depending on their prospective salaries when they enter the United States. The totals below are not exact but will be based on the median household income of the state where the immigrant will be working. The remaining categories may be less common. They directly relate to extraordinary achievements like Olympic champions and those willing to invest in new enterprises within the United States. How will the point system work? If an immigrant is able to reach the 30 point threshold they’ll be able to apply to become part of the that year’s applicant pool. The cost to apply for the pool will be $160. Spouses of immigrants applying will also be required to go through the point system, if the applicant’s spouse does not have equal or more points than the applicant, the applicant will lose points. There are measures in place to act as tiebreakers. If two immigrants have the same amount of points, priority will be given to the immigrant with a higher education. If they have the same educational achievement, priority will be given to the person who scored better on the English test. If both of those scores are equal, priority will be given to the person closest to their 25th birthday. From there the bill states every six months the USCIS will invite the top performers to apply for a visa. During that process the immigrant will be required to provide evidence for all the points they are claiming. The immigrant will have 90 days to apply from the day they were invited to do so. This part of the process will cost $345. What happens next with the RAISE Act? The RAISE Act still has a long way to go before before becoming the law of the land. It will be debated within Congress and may change during the process. FileRight will keep you up to date on anything that happens regarding the RAISE Act. FileRight.com is a new kind of immigration software company. 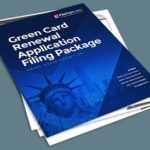 We simplify the process of completing U.S. immigration applications. Answer questions written in plain English (or Spanish), while avoiding omissions that can cause rejection. The “File Right” mark and File Right logo are service marks registered with the United States Patent and Trademark Office under the laws of the United States of America. Your browser is outdated and no longer supported by this website. Please visit: OutdatedBrowser.com to update your browser.